The show’s penultimate episode delivers the goods. I had hoped to make it home for dinner, but things are topsy-turvy at the office. I’ve been waiting for this episode of The Americans ever since the seaon’s episode titles dropped. “Jennings, Elizabeth” seemed so much more than just the name of the show’s female protagonist. It just had to mean something more, especially being the penultimate episode of the series. What it really sounded like was the heading to a casefile. “Jennings, Elizabeth” feels like a direct extension of “The Summit” in how it continues to investigate the themes brought to the forefront at the end of last week’s episode. Elizabeth finds herself confronting the idea that doing her job for her county is a very different thing than following Directorate S’s direct orders. Knowing the plan to kill the Soviet negotiator Nestorenko and frame him for trading USSR military defense secrets on Gorbachev’s orders, she keeps a close eye on him as he travels across Washington, D.C. doing his work. Her scenes are intercut with a flashback to her training in Moscow, a time long passed and seemingly buried so deep that Elizabeth herself has largely forgotten it. After picking up a message she encounters a police officer mortally injured in the street after a motorcycle crash. No one else is around and the officer begs for help with a frail voice, but Elizabeth acts as the cold, steely spy we’ve always known and carries on with her mission. Her trainers have always told her to treat her exercises just as close to the real thing as possible, and she worries that American police would question and possibly search her in the same situation. It’s the collectivist communist philosophy in microcosm and practice: the mission takes precedence over the people. But surprisingly to the viewer who’s seen Elizabeth acting this way for six seasons, her trainer doesn’t praise her. Rather, she’s disappointed that Elizabeth would leave a good Soviet to suffer and die. That’s not how one should treat a comrade, in Moscow of all places. That flashback builds on the idea that it’s the people back home Elizabeth and Philip have always been working for and not the bureaucracy, and that the mission (and by extension Directorate S) is not the highest priority. With that in mind, “Jennings, Elizabeth” finds our protagonist watching Nestorenko’s back, attempting to prevent his assassination by whoever Directorate S has tapped to replace her. That person turns out to be Tatiana, the former Resident in training and Oleg’s lover who Elizabeth shoots in the back before slipping away into the crowd. Where has this Elizabeth been of late? Even Claudia is shocked to hear about Elizabeth’s betrayal when she stops by the apartment and tells her former handler to run. With one single bullet Elizabeth seems to have struck a killing blow to the KGB plot to bring down Gorbachev, and once Philip’s coded message makes it back to the Soviet Union, the jig will be up and everyone involved in the plot will be facing execution or jail time. “I had so much faith in you,” Claudia tells Elizabeth, stoic as ever. She will not run. She’ll go home and survive to wait and plan for her next move just as she always has. “If you really thought you knew me then you’d have known to never lie to me,” Elizabeth responds, coldly walking out the door. Claudia, never in a hurry, simply tucks into her Russian dinner. 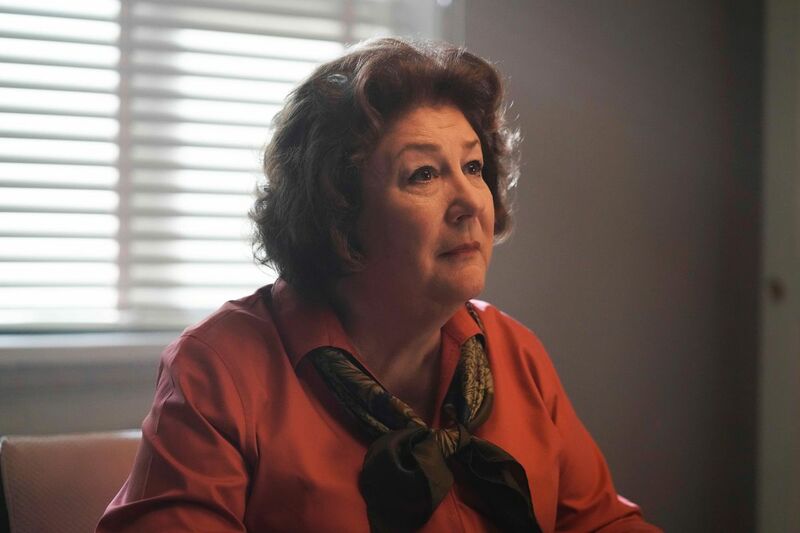 If that’s the last we ever see of Margo Martindale, then a heartfelt farewell to her and her marvelous acting. Claudia, however, can go die in a ditch. The problem with Elizabeth’s plan is that Philip’s message about the coup attempt hasn’t made it back to Moscow yet. Oleg sits in an FBI holding cell after being arrested, and Philip’s message is now in the Bureau’s hands. Stan Beeman is as convinced as ever that Philip and Elizabeth are the Soviet spies he’s been searching for the whole time, but he has no evidence. Aderholt overtly dismisses the theory (doing huge damage to my theory that Aderholt is the only good agent in the FBI – come on, man! ), but Stan’s doubts continue to pile up. He notes how Philip and Elizabeth’s sudden Thanksgiving travel coincided with the Harvest extraction operation in Chicago. He remembers how the Jenningses own the same make and model of car involved in a incident that occurred right as he arrived in DC. Stan can’t shake Curtis’s statements about how Gregory’s girlfriend smoked like a chimney or his discovery of dozens of cigarette butts in the Jenningses’ backyard despite never seeing her smoke over the last decade. That doubt is why he continues to show Elizabeth and Philip’s picture to Oleg and anyone else connected with the case. Oleg yields nothing, even asking Stan to send Philip’s message to Moscow for him. When Stan rebuffs the idea, Oleg swears he’s prepared to spend as any years as necessary in FBI custody if it means the message gets home and saves Gorbachev. He’s thinking about food for his wife and child, his father’s reputation, and what’s best for his people, not about Stan’s myopic focus on Philip and Elizabeth. Elsewhere, Stan calls Pastor Tim in Buenos Aires and presses him for information about the Jenningses. Pastor Tim, likely remembering his connection to Paige, offers up nothing of use, but the scene is wonderfully constructed to draw out the tension. There’s gallows humor in the fear in Tim’s eyes, his fear-wracked face covered in sweat as he states that Philip and Elizabeth weren’t members of his church but seemed like good people. Would he be so evasive if he knew Paige was now in the family business herself? Another man of God is considerably more helpful to the FBI’s aims. Father Viktor, the local head of the Eastern Orthodox Church, has a disdain for priests who put their allegiance to politicians above their allegiance to God, and he’s happy to point the Bureau in Father Andrei’s direction. 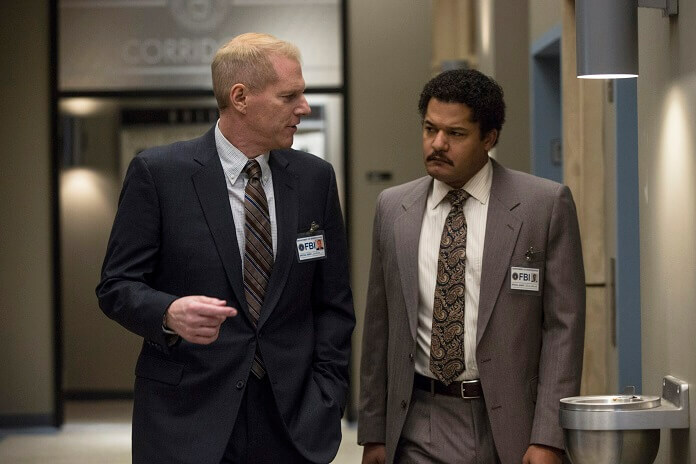 It’s the best tip Stan and Aderholt have gotten in weeks, and they quickly put a surveillance team on the priest. What Stan doesn’t know is that it’s also the closest he’s gotten to catching Philip yet. Father Andrei had asked for a meeting with Elizabeth at the end of “The Summit,” but with her trailing Nestorenko it’s Philip who takes the meeting and walks right into the FBI’s trap. Father Andrei, like most of the non-professional agents in the series’s history, thinks he’s good at evasion and spycraft to the point of his own demise. “I wasn’t followed,” he assures Philip before relating the purpose of the meeting. He knew that Father Viktor intended to speak to the FBI and wanted Philip to be aware. In his ignorance, his meeting about safety and warnings is, itself, an inadvertent catastrophe. Philip realizes he’s being watched and attempts to slip out of the park, but multiple agents are hot on his trail. He manages to evade them, but he knows that it’s only a matter of time before any pictures they got of the meeting make their way back to the bureau and likely into Stan’s hands. He must assume his cover is finally blown, and he and Elizabeth will have the FBI on their doorstep any minute. The show has done a curious thing with its trademark wigs and disguises over the last few weeks. They simply haven’t been very good, not in a costume department way, but simply that they haven’t given Elizabeth and Philip much cover. Whereas Philip used to wear blonde wigs and heavy mustaches, his disguise while meeting with Andrei is little more than a hat, glasses, and a whispy mustache. It’s hardly a cover at all. Elizabeth straight murdered Tatiana in front of government officials wearing nothing more than a coat and a wig that didn’t hide her face one bit. The show seems intent on providing a visual symbol for the couple’s exposure. Just as the loose ends around them are all coming to the forefront, Elizabeth and Philip can’t hide in their disguises any more than they can hide their covert activities. When Claudia was dressing down Elizabeth over her betrayal, she asked her protégé an interesting question: what’s next? “What’s left for you now?” she asks. “Your house? Your American kids? Philip?” she sneers with disdain. It’s a fair question. If Directorate S collapses, then they won’t be around to help her and Philip anymore. In light of her betrayal it’s not likely they would help her even if they stay afloat. Elizabeth has always been the one who viewed her American life as cover. It’s been a shield for the covert work that is her true life. So what will she turn to now that all seems lost? Without her work, Elizabeth is left with nothing, certainly not investing in a fake cover life that she’s never fully embraced. She tried to play mom and housewife, but even Paige isn’t buying the meager threads of that story anymore after seeing “an intern” (read: Jackson) drinking himself into a stupor at a party and talking about the older woman who seduced him and used him to steal government secrets. Paige confronts her mother over years of lying even as Elizabeth tries lying her way out of it one more time. “You’re a whore,” Paige shouts, horrified at the reality of her mother’s career laying honeypot traps. “It didn’t matter to me. It doesn’t matter to your father,” Elizabeth retorts, but Paige is already on her way out the door. If a true mother and housewife is what Elizabeth needed to become, then this is an inauspicious start. But that isn’t going to be the case. Only hours after realizing that her life as a spy is over, Elizabeth gets the phone call she’s always dreaded. Philip tells her in code that their cover is blown and they have to run. Any life she might have clung to in America is also blown, and Elizabeth grabs the family’s bug-out bags and runs. She can’t be a spy anymore, and she can’t pretend to be a happy housewife, but maybe she can finally be true to her relationships. When she takes the emergency bags she leaves all sorts of stuff behind, but she does make a point of grabbing her and Philip’s wedding rings from their ceremony with Father Andrei. It was the ceremony where they made their marriage official, and not just a sham marriage to fool Americans. They can wear those rings publicly now. Why not? Their cover is about to be blown. When the rest of her life is gone, maybe Elizabeth will finally get to be the one thing she’s always struggled with. She can be Philip’s wife, and they can be a family with all the cards on the table. Isn’t that what it truly means to be American after all? -Claudia says she’s going hope to wait and watch before making her next moves for power. I can’t help but think she’s pulling strings in the Putin government as we speak and the Cold War heats up again. -As someone pointed out to me tonight, the season 6 timeline means that this is the first time the show’s events coincide with my real lifetime. Maybe the Jenningses will run into a 6 month-old Chase in the finale? Here’s hoping. -The teaser for next week seemed to hint that Philip and Elizabeth were making for New Hampshire, the same state Walter White and Saul Goodman fled to at the end of Breaking Bad. Are all secret relocation experts located in the Granite State? The Americans/Breaking Bad shared universe confirmed! -I’d like to see Martha and Gabriel again, but the show may well have moved on. If so, I like to believe that Martha is happy with her adopted child in Moscow getting the chance to be the mother she always wanted to be. 74 episodes in the books and only one more to go! Next week we wrap up the series with the episode “S.T.A.R.T.” Enjoy this great show while we’ve still got it. I’m on the road, just watched today, thanks for some details I missed. This episode could be watched again…what tipped off Phil that the tails were after him? Were the 2 agents who chased sitting on benches? The assassination of the assassin was sure a shocking twist, and I could have handled the Jennings’ processing it together. But they don’t have that luxury. Doing the right thing, just as in real life, doesn’t always get you any kind of benefit. That makes it the right thing, actually!